For years, retailers have struggled to measure the effectiveness of their promotional advertising efforts. Harnessing the big data within their customer and transaction files continues to be a major challenge. Approaches for gleaning true customer insights from that data are becoming more common. Measuring total shopping behavior in conjunction with specific promotions provides a better understanding of the overall impact on profitability. 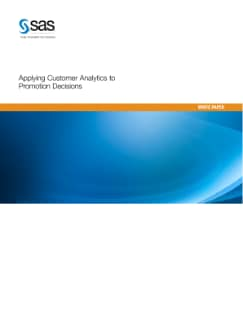 This paper describes how retailers are utilizing customer analytics to measure the effect that mass promotions have on the total basket spend of customers and to identify the most relevant offers for each individual customer.